Statistical model checking (SMC) is an analysis method that circumvents the state space explosion problem in model-based verification by combining probabilistic simulation with statistical methods that provide clear error bounds. As a simulation-based technique, it can in general only provide sound results if the underlying model is a stochastic process. In verification, however, models are very often variations of nondeterministic transition systems. In classical exhaustive model checking, partial order reduction and confluence reduction allow the removal of spurious nondeterministic choices. In this paper, we show that both can be adapted to detect and discard such choices on-the-fly during simulation, thus extending the applicability of SMC to a subclass of Markov decision processes. We prove their correctness in a uniform way and study their effectiveness and efficiency using an implementation in the modes simulator for the Modest modelling language. The examples we use highlight the different strengths and limitations of the two approaches. 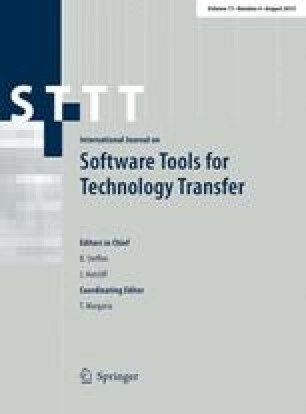 We find that runtime may be affected by unnecessary recomputations, and thus also investigate the feasibility of caching results to speed up simulation at the cost of increased memory usage. This work was supported by the Transregional Collaborative Research Centre SFB/TR 14 AVACS, by the NWO-DFG bilateral project ROCKS, by the 7th EU Framework Programme under grant agreements 295261 (MEALS) and 318490 (SENSATION), by NWO under grant 612.063.817 (SYRUP), and by the CAS/SAFEA International Partnership Program for Creative Research Teams.